First thing’s first, flashes are awesome, and we try to use them every time we can. We strongly recommend that you get into flash photography if this is something you have been avoiding. 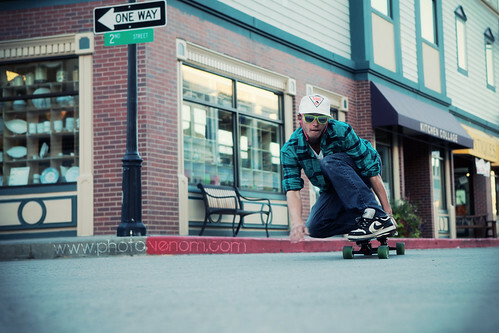 We know for sure there are many action sports photographers out there, that are just like us…flash fanatics. However, it’s easy to get caught up in shooting flash and forget how easy and fun it is to go without a flash. These are some of the key points you should think about before your next shoot. Better exposure on the athlete. More dramatic and edgy look. Subject separation from the background. The ability to shoot at night. Creates a different look from what other photogs are getting. Use your camera’s maximum frame rate. Natural looking photos(if this is what you are going for). More reliable shooting, since you don’t have to deal with flashes, batteries, and remotes. Track your subject and take photos along the way. Freedom to move and change you positioning, angles, and what features you are shooting. Sync speed limit (crucial when shooting action). I am sure all of you strobeheads, can come up with a few more reasons for yourself as to why and when you like using or not using flash. We usually go with flashes when we have more time to set up a shot, change things and shoot it over and over. Other times, you can go get great results by using one flash only…on or off camera. And some times, you’ll be more than happy (and your client will be too) with no flash at all, just well composed shots with great content, in great locations, and at the right times of day. The ideas is to evaluate what you really need before the shoot, and take only what you need. Having the right mindset combined with the right gear in your pack will help you get the most out of each shoot!